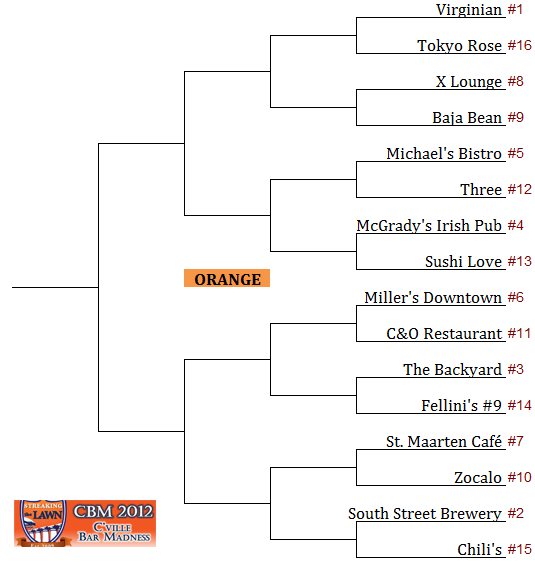 The kids at Streaking the Lawn are running a bracket to determine the best bars in Charlottesville. The winner will be determined by vote, with one round of voting each week. I don't think anyone wins anything other than the opportunity to argue about it. Voting starts on Monday. 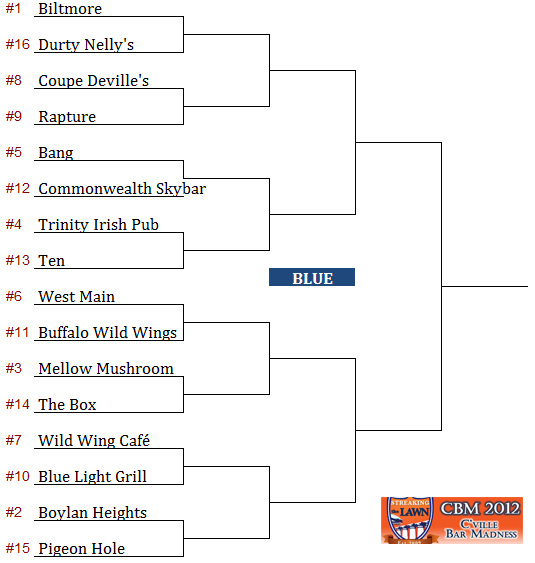 The top 32 bars in Charlottesville (yes, we said 32, and yes, there are even more out there that failed to make the tournament and who are competing in the C'ville Bar CBI as we speak) have all been slotted into one of two regions and given a seed based on popularity, reputation, and overall awesomeness. Over the next few weeks, you all will vote for your favorite bar to advance to the next round, until we declare one fine establishment King of the 'Ville.